And of course, Nintendo has all rights to the characters and world of Hyrule. Also, I have to thank the Shadow Corporation and all those who made the Legend of Zelda: Next Generation, whose game gave me the idea of making this in RMXP. It is actually a sequel to two other zelda games I made on RPG Maker 3 for PS2, and at some point, I promise to remake them on RMXP. Now, some things I need to say that are a must to make it from start to end. -ALWAYS MOVE. Most bossess will not be knocked back by your sword, so move and attack together. 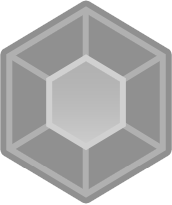 -The spin attack has a bug where using it will not harm enemies on the bottom of your character. -Against the 4th miniboss, you need bombs to win. DO NOT WASTEFULLY USE BOMBS AS YOU WILL BE UNABLE TO WIN IF YOU RUN OUT. -I think I fixed this, but maybe not. The Esc. key (or X or 0) doesn't always open the menu. In case this happens to you, I made it so that you don't need to open the menu at all to make it through. -If a fairy is flying in the room, save. -There are 4 "dark Links" standing around that do nothing but make a sound affect. I put them there so I could have that effect for easy use in game and forgot to delete them. I think that's it. The game takes about 1 hour to complete at most, probably less. And as stated before, it is not the regular storyline for the real game. Ah, you're so cool man. Thanks for giving me SOME credits! Well... the Zelda (and his partners) graphics... weren't too great. They didn't blend with the rest and made it... a little odd to be exact. I like the idea though. I'll try to make Link and co. more natural to the world of RMXP. OOOOOOOOOOOOOOO zelda RPG!?!?!?!? good taste (in both catagories)! i definitely wanna play it! P.S. check out www.crankeye.com. they have a alot of zelda resources. Thanks for the link, Spazz, but I prefer the sprite i edited from KingGamer20. It looks more natural to the RTP people and landscape, as well as the sprites I am still making. By the way, anybody that wants to see a demo with the features I have listed, PLEASE check the forum "frozen battle system glitch". I AM STILL STUCK!!!!!!!!! In this old demo, you dismount Epona at a certain location. But in my new version, there's a button that does it. Trust me, the new version (if I can ever finish my features demo) will blow my old pathetic one out of the water. Hey, the game is awesome! But I just don't know where to go! 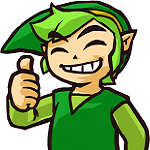 I want to go get Saria, but I can't go to the lost woods, I can't get Zelda, I can't get past the bridge. What do I do? Ok, in this demo, you do not get Zelda. Go north. You'll find the answer. Okay, um, I'm sorry to bother you with more questions on how to get through the game, but I can't find anything. I went in the cave with the old woman, but I can't to squat because I can't win the game and she vanishes. I can't do anything in the graveyard or Kakoroki village, so I'm stumped. Keep in mind it was just a demo. You don't do anything there yet. Find the ranch. I tried playing it, but it said I needed RGS-RTP Standard... What do I do? Thanks for the email Quiversee you helped me get it working. Good game so far, I like where its going. It's a shame you haven't updated this. When you believe in yourself, you can be able to reach all. However, there're some minutes when you are feeble. Hence, there're specialists who are able to help you. As example, you have a chance to buy custom essay provided by specialists.